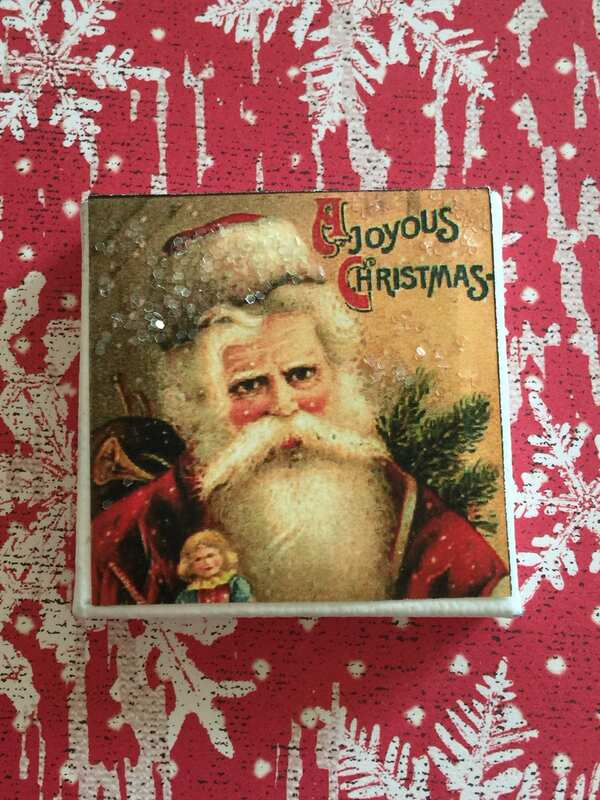 Vintage Old Workd Style Santa Christmas Art Glitter Canvas-2" x 2"
Wonderful image of an sold World Vintage Style Santa. 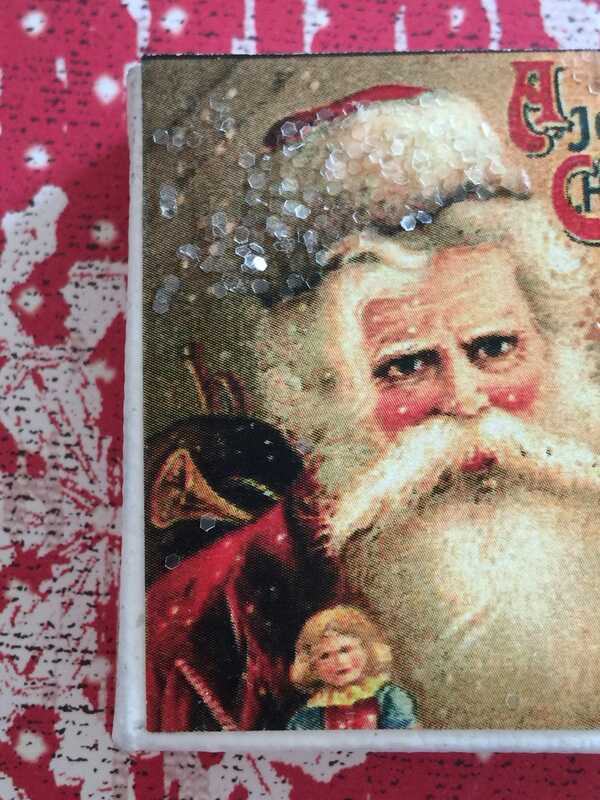 Ive adhered the d sign to an artist canvas 2” x 2” and then added snow glitter to the fur rim of his hat for additional sparkle! I️ love how it looks. 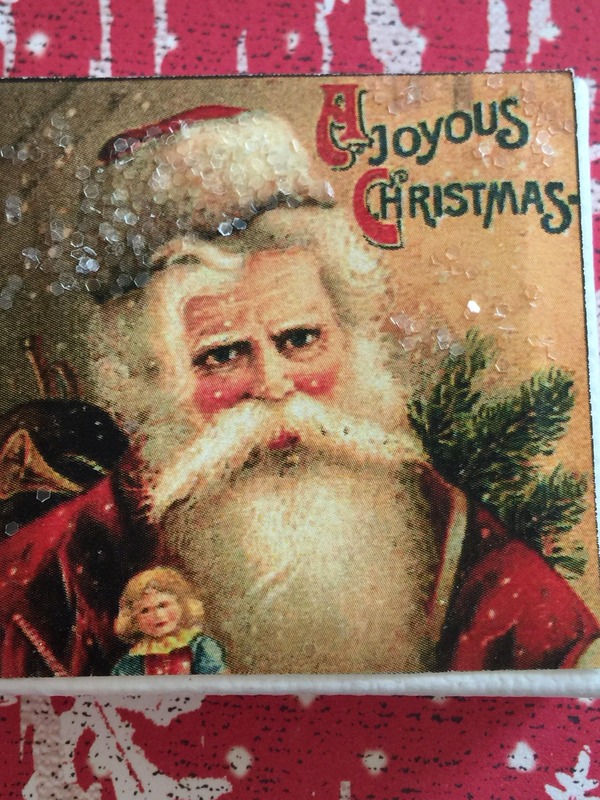 Perfect picture for a small scene or added to a shelf with an old Sant figurine or sleigh. 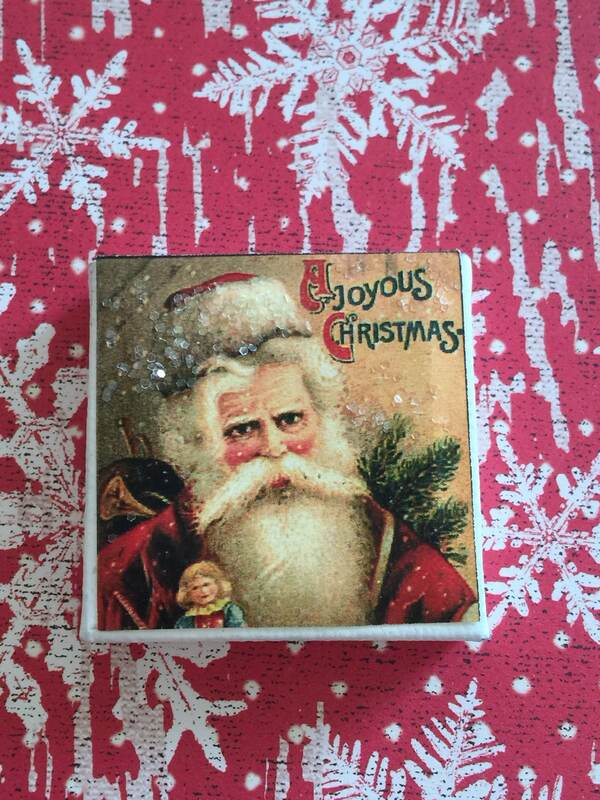 Another adorable little picture for my Christmas rooms! 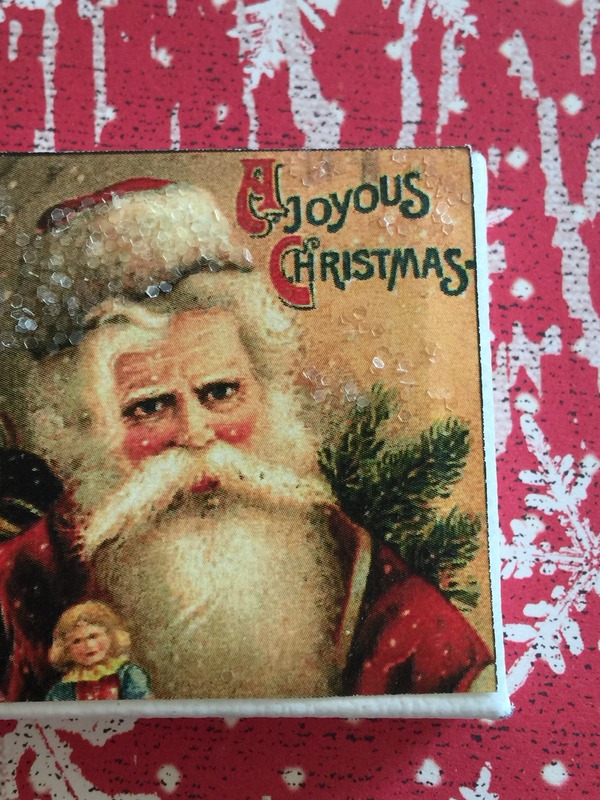 Thank you, Debbie! Such a wonderful picture! Thanks!